If you or a member of your family have been diagnosed with mesothelioma, we can help you to make a claim for compensation. It is our role to answer any questions you may have about Mesothelioma and to help you through the initial process of claiming compensation. Mesothelioma is quite rare, with around 2,500 cases a year and we understand the impact the diagnosis can have on you and your family. We represent some of the best asbestos solicitors in the UK who can travel to meet you to discuss your individual case and entitlements. They have over 30 years experience with an excellent track record in tracing the liable companies and their insurers, even if the firm has ceased trading. Our service is completely free of charge from start to finish and you will keep 100% of the compensation awarded. You can call us on FreePhone: 0800 923 0046, chat to us via online chat or complete our claims form and we will call back at your convenience. Who Can Make A Compensation Claim for Mesothelioma? Many UK companies were aware of the dangers of asbestos exposure, but still put their employees at risk through contact with asbestos fibres in the workplace. Legally those companies are held responsible for individuals developing mesothelioma. You may also be eligible to claim if you were exposed to asbestos whilst undertaking work for the Ministry of Defence. There is no limit to the number of companies that you claim from. If you have no idea where you were exposed to asbestos, you can still claim compensation from the Government. New regulations known as the Mesothelioma Bill are currently being ratified by Parliament. If you were diagnosed with mesothelioma after July 25th 2012 and are unable to trace the company where you were exposed to asbestos or the company’s insurer, you will be eligible to receive 80% of the value of the average civil compensation claim from a central pot of monies. Our solicitors have access to many databases and other information that is not available to the general public. It is always worth using a solicitor’s services first to try and find an insurer so that you recover the full amount of the claim (100%) before applying to the government fund of last resort. How do I make a Mesothelioma Claim? To find out if you can make a claim, contact us on Freephone 0800 923 0046. We will ask some questions about your exposure to asbestos, your work history and your medical diagnosis. Don’t worry if you can’t remember it all – our solicitor can help you find the information. Our solicitors pride themselves on personal attention and will travel to your home or hospital to discuss your entitlements and to explain the claims process in simple terms. They may be able to secure an interim payment from the Government for you within a few weeks of opening a claim. They understand the difficulties faced by people and their families suffering from Mesothelioma and will do everything to ensure that proceedings run smoothly. 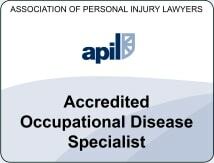 We have vast experience in advising victims of the disease and have recovered many millions in compensation. Our reputation, experience and dedication to Mesothelioma patients has resulted in referrals from thoracic and respiratory specialists, independent groups, past clients and referrals from other firms of solicitors. You can read some of our previous successful claims in our Cases Section and Testimonials from Clients. 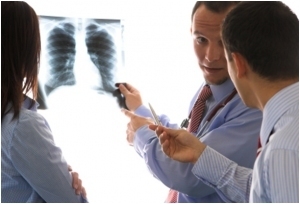 Who is at Risk of Mesothelioma? Asbestos was used widely as an insulating and fire protection material and many workers were in direct contact with it, unaware of the risks. There is a long latent period - sometimes 30 - 50 years following exposure - before the disease manifests. It is not surprising therefore that in recent years there have been high number of mesothelioma cases reported in shipyard workers, plumbers, carpenters and joiners. In total over 2000 cases of the disease are reported annually. Workers at high risk of developing mesothelioma include . . .
Buildings built prior to 1985 may contain asbestos and this includes hospitals, schools, churches. A person with mesothelioma may think they have not been exposed to asbestos during their working life but in fact could have been exposed to loose asbestos fibres in the construction of the building. There have been a number of cases reported where teachers and hospital staff have developed mesothelioma in the past decade. Family members of those who used to work close to asbestos may have been exposed indirectly when the worker brought asbestos dust into the home via their work overalls. This is known as secondary exposure - it is still possible to make a compensation claim for this. Is there a time limit on making a claim for mesothelioma? If you have been diagnosed with mesothelioma you should be able to make a claim for compensation. You should be able to make a compensation claim if you were diagnosed within the last few years. It is also possible for family members to make a mesothelioma claim on behalf of a deceased relative, provided it is within a few years of the date of death. It is very important to start a mesothelioma compensation claim as soon as possible as, currently, our service is free of charge and you would receive 100% of the compensation amount. Laws surrounding personal injury claims are changing and in the future this may not be the case. Under the present system, solicitors receive their payment from the insurance companies of the employers where asbestos exposure took place - this may not always be the case. It is also vital for the success of the claim to instruct a specialist mesothelioma solicitor.They will have access to information and databases not available to the general public and will know where to look for insurers of businesses who no longer trade. 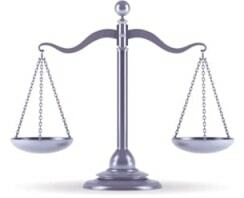 In the event that the solicitor is unable to find an insurer to make a claim against, don t worry. You will still be able to make a claim from a government central pot of money but in this scenario you will receive only 80% of the average civil claim award under the Mesothelioma Bill. We always treat our clients with compassion, dignity and respect. We are aware that any monies awarded as compensation do not begin to make up for the distress associated with Mesothelioma, but hope it will relieve some anxieties resulting from the diagnosis and treatment for both you and your close relatives. For further details, call us on the number below and ask to speak to Warren Miller or Kathy Cooke. Or complete the online claim-form and we will contact you at your convenience.